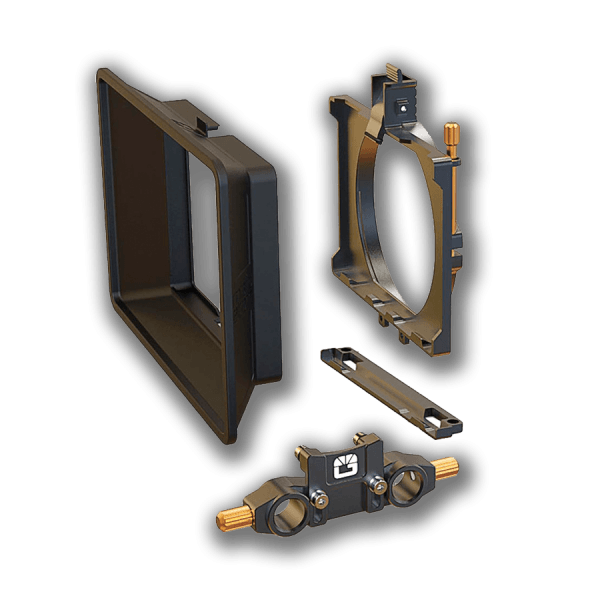 Robust and flexible light-weight matte box kits and follow focus kits to suit 15mm LW, 15mm studio and 19mm camera production setups. Hire Bright Tangerine, Chrosziel and other leading professional film production gear. 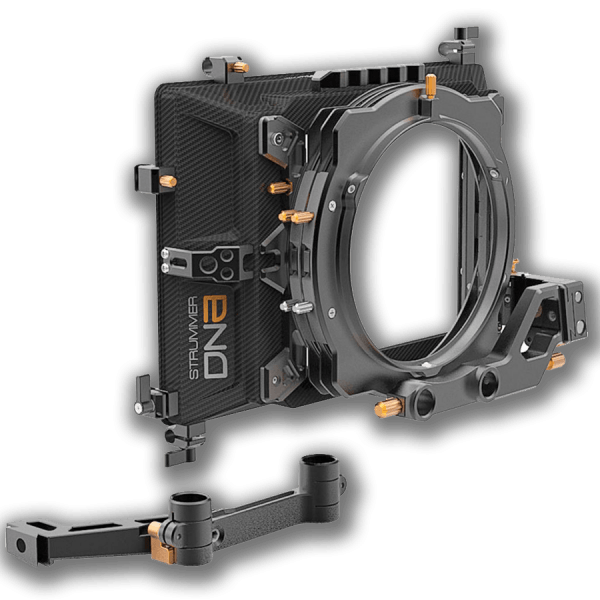 The Misfit Atom Matte Box and 15mm LWS Rod Clamp from Bright Tangerine is a small, lightweight, yet strong clamp-on matte box for lenses with an outer diameter of up to 114mm. This kit includes the Atom Misfit matte box, a flexible lens hood, an A.R.F. 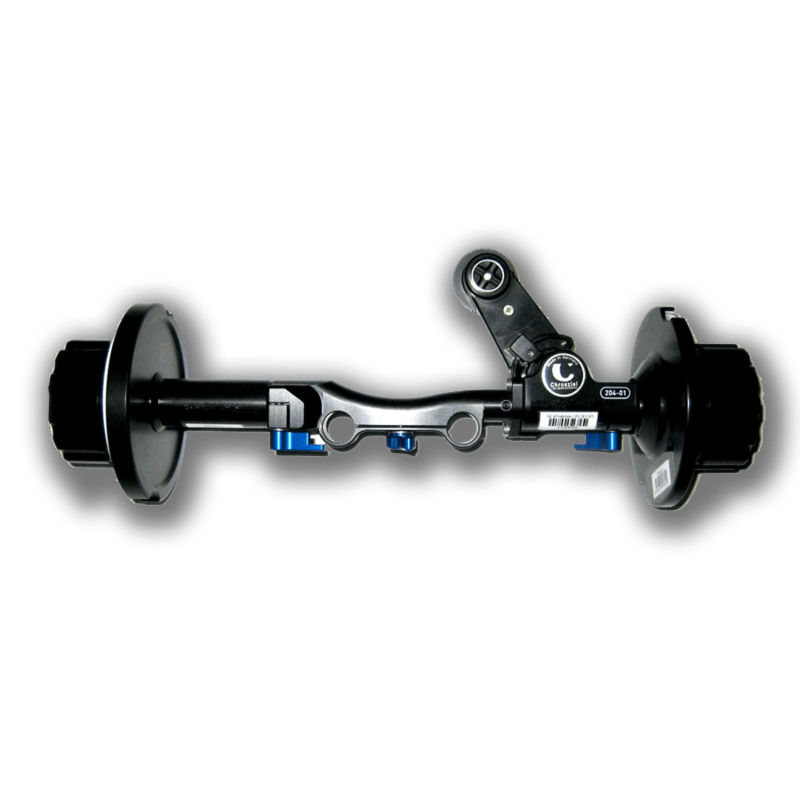 bracket, and a 15mm LWS rod clamp. It holds up to two 4×4 or 4×5.65″ filters without using filter trays. 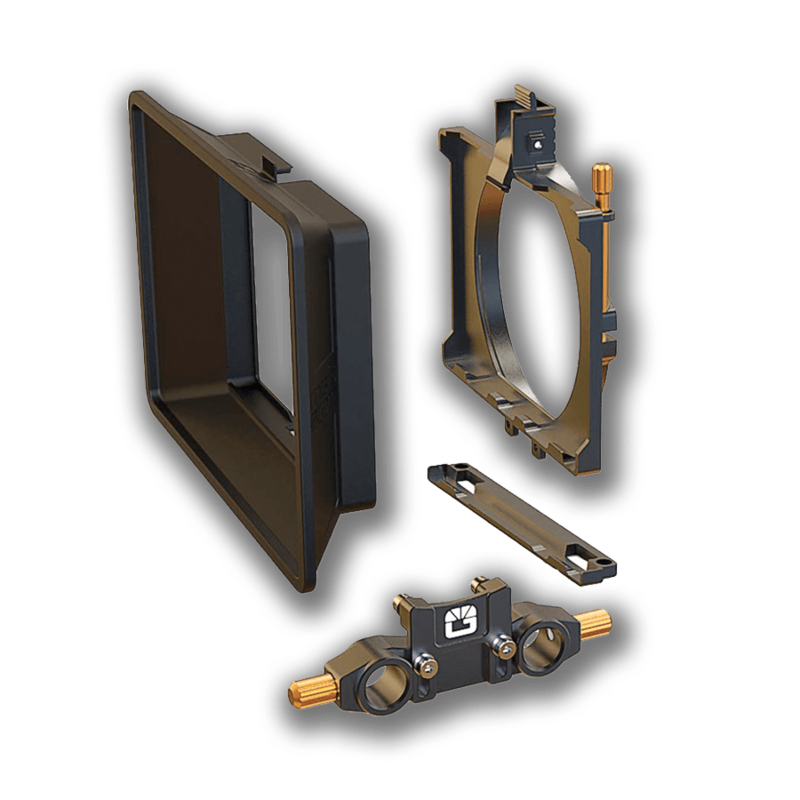 The included A.R.F (Anti-Reflection) bracket tilts your filters to help minimize reflections. The matte box provides a wide field of view suitable for many wide angle lenses even with two filters mounted. Designed to allow you more options of placement, revolvr is slimmer, and has a dual mountable arm, allowing you more space for other accessories. The conical handle matches the contours of your hand, even when the camera is hard to reach. You can use it on either side too. 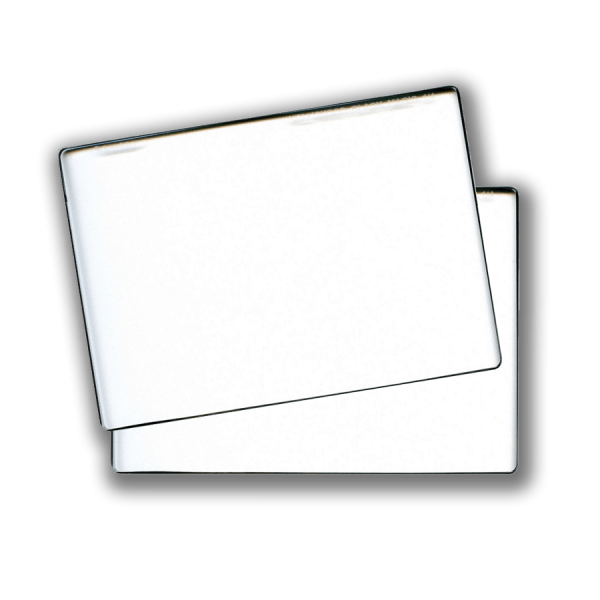 The removable hard stops move independently, and you can use one or both. Set your A and B positions, and use your forefinger to feel when you hit your mark. You can follow the action, and stay in focus all the time. For hard stops, just activate the hidden plunger, and you’re ready to go. Everything has been designed to be easy to access, and easy to use. The clamps and locks can be used with gloves so you can keep your hands warm and protected. 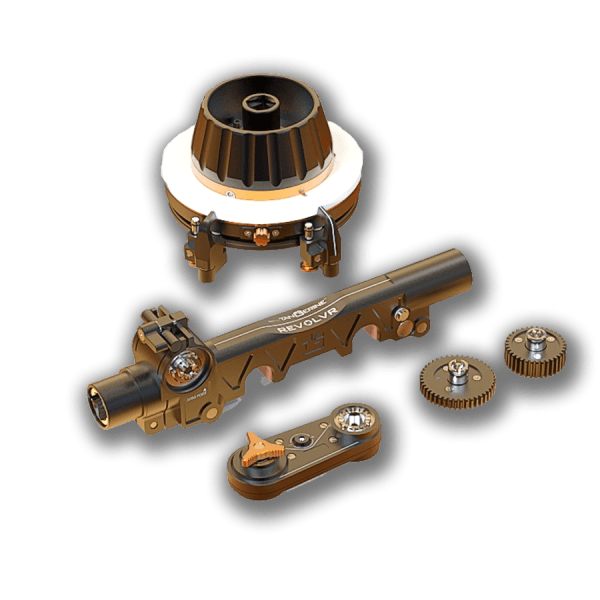 Thanks to the fluid damping module, gear units, and bearings with low tolerance, the Chrosziel Studio Rig Cine Follow Focus System offers smooth and precise focus moves and is capable of play and jerk-free focus even for permanent direction changes. An adjustable range of 200º from close-up to infinity is usually found on video lenses, fixed focal length prime lenses, and cine-style lenses. By rotating the hand wheel, you can easily adjust the lens focus ring approximately 100-145º between close-up and infinity. 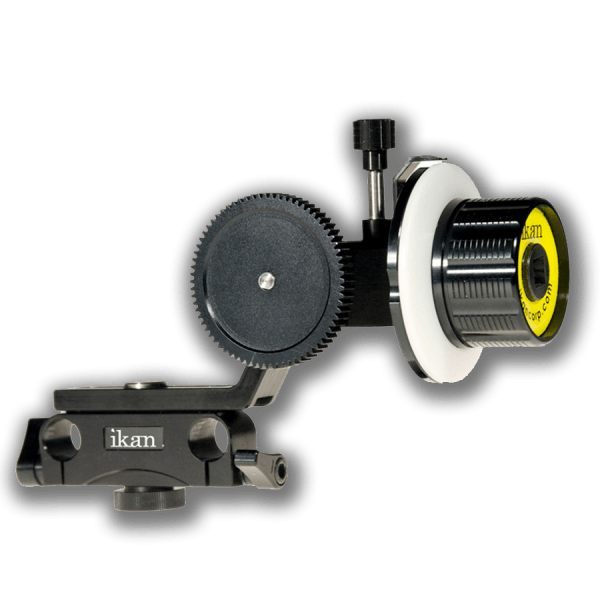 Follow Focus Cine-Kit driven by a 2″ diameter control wheel and features a 2.3″ diameter focus gear. 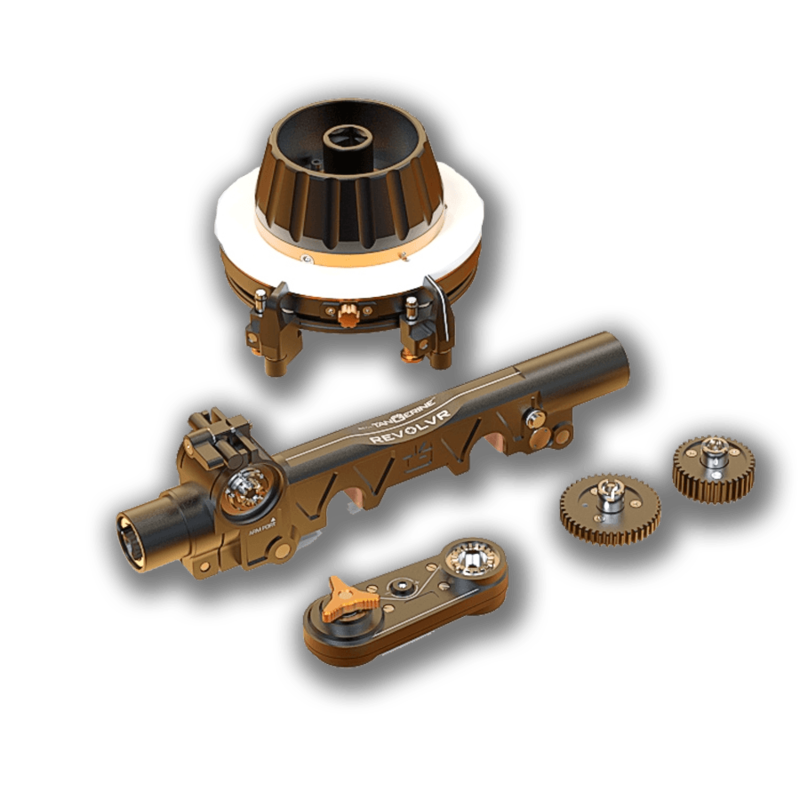 Low backlash, horizontal adjustment and compatibility with standard film pitch gearing of 0.8. 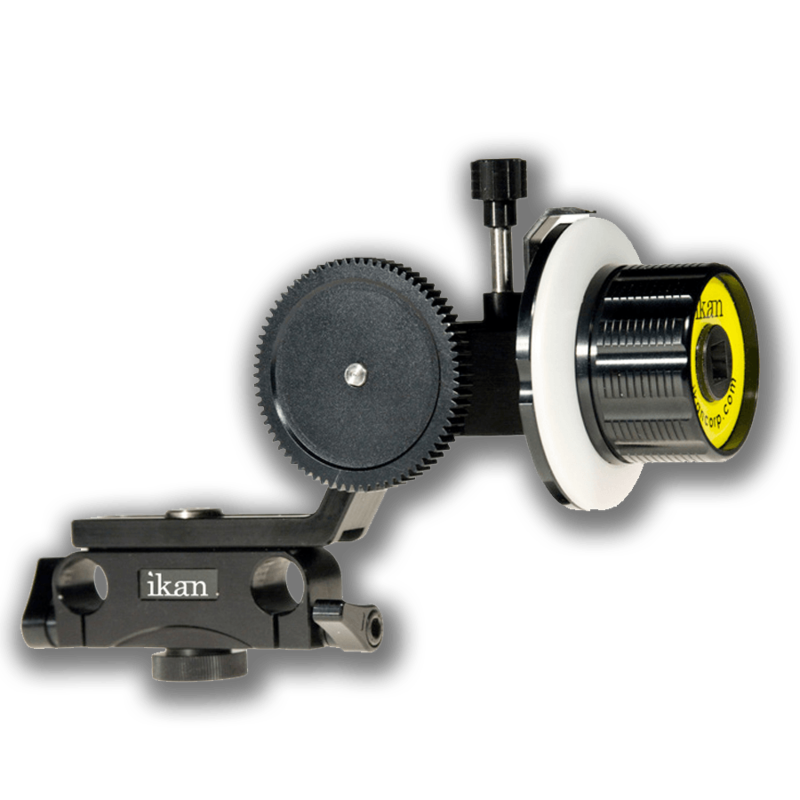 Suitable for 15mm rail setups and compatible with a wide range of lenses with varied diameters. 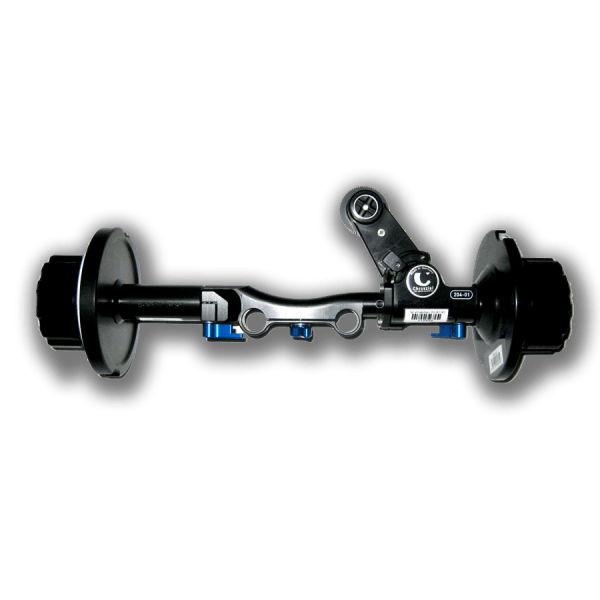 Suitable for 15mm rail setups. 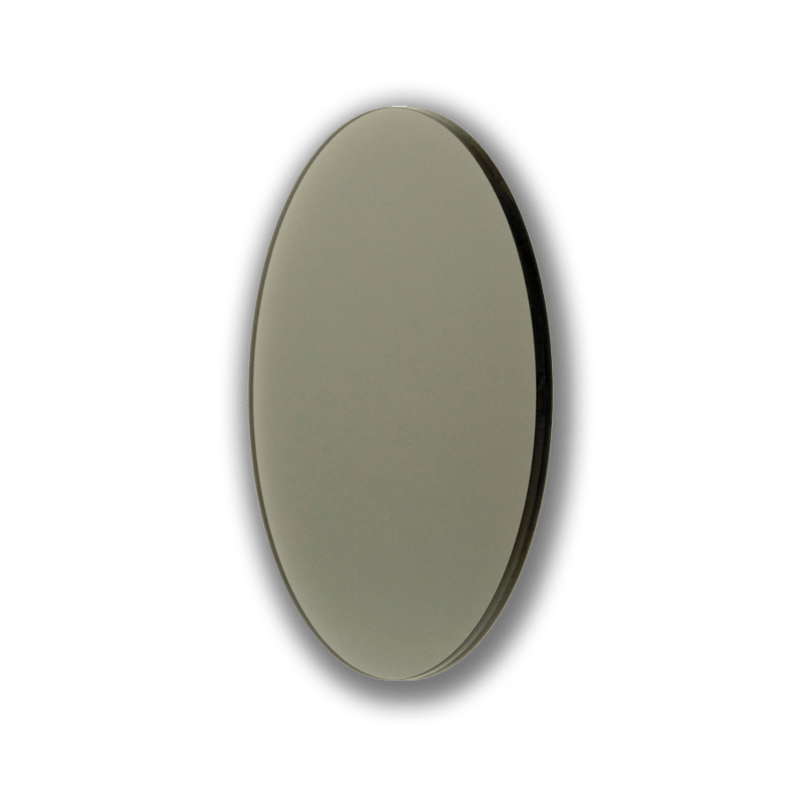 The Schneider Circular True-Polarizing Filter (4 x 5.65″) is by far the most effective polarizer for motion picture and television cameras. Having an extinction ratio of ER 374, the Schneider True-Pol is 12- times more effective than other polarizing filters, and is unmatched in its ability. 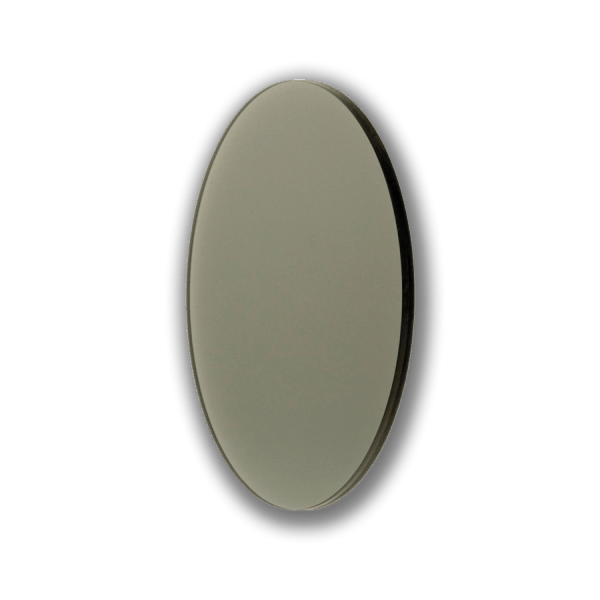 Schneider Hollywood Black Magic filters purposely reduce the appearance of blemishes and wrinkles. This can be useful for creating a more flattering result of a subject while highlight as well as mid-tone contrast is softened and glare is reduced. Additionally, a glowing effect around highlights is created which can further enhance a subject’s appearance or produce a desired effect while overall sharpness is maintained. 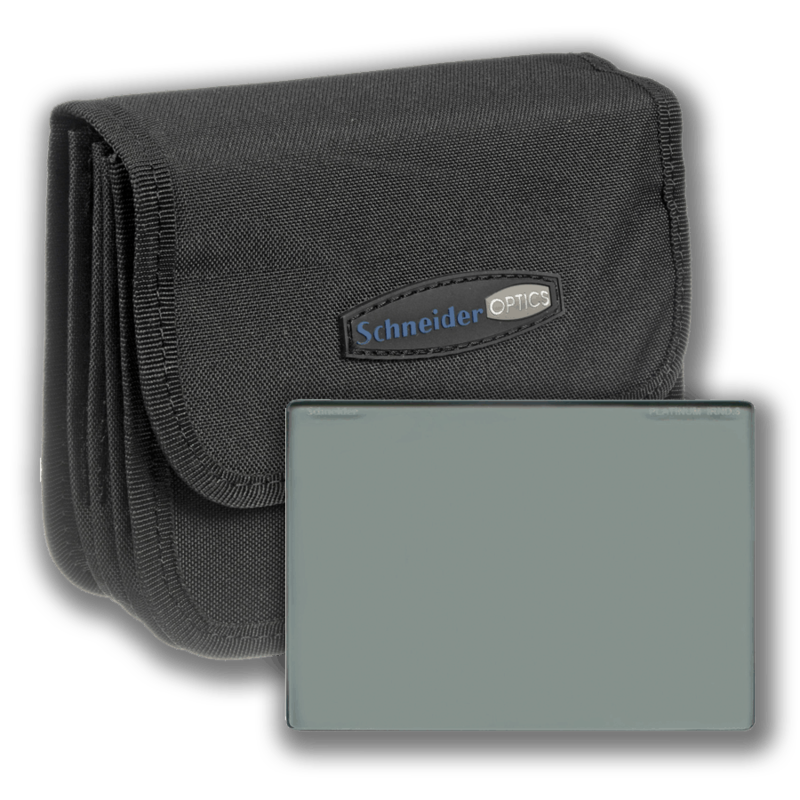 Schneider’s Platinum Series IRND filters reduces the amount of light reaching the camera’s CCD or CMOS imager down to the visible spectrum. The Platinum IRND filters produce a near-infrared cut filter that lets HD cameras maintain true color rendition in the blacks. 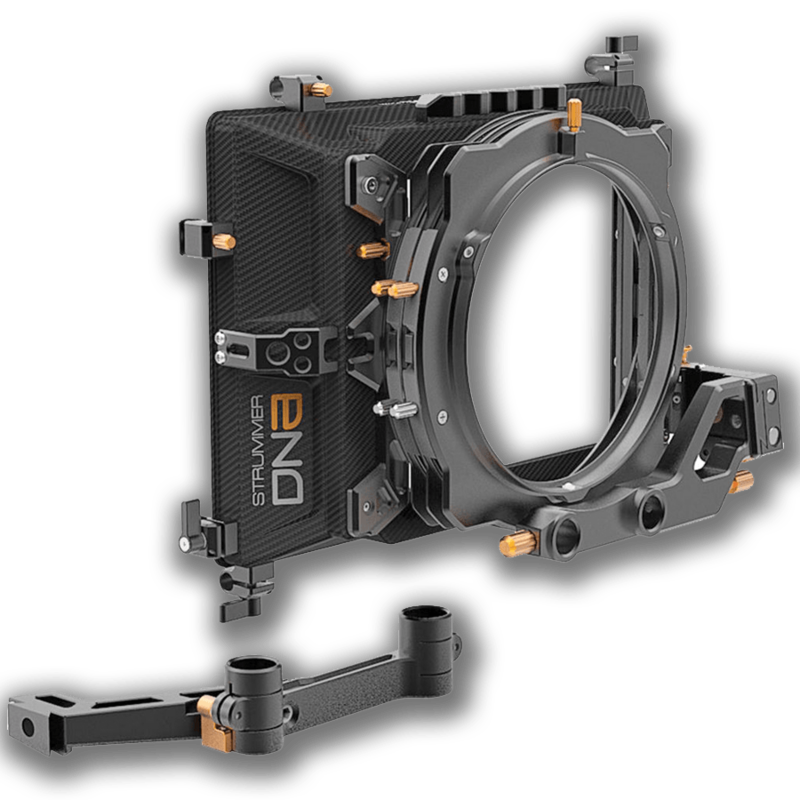 The Bright Tangerine Strummer DNA matte box is an ultra light weight 4×5.65″ 3-stage solution for demanding productions. Ultra light-weight 3-stage 4×5.65″ matte box. Top and side flags. LW 15mm studio mounting. Donuts and mattes for all popular cine lenses.